Life isn’t easy being Diabetic!! Not only do I have to take medication for the rest of my life but in addition I cant join in with the office fun that is ‘bring a treat to work’ day!! Today is a case in point….not one but TWO birthdays both involving cakes, sweeties and even a huge chocolate box….we are talking diabetic hell here. It got so bad last week that I had to move desks – the doughnuts arrived on an almost daily basis so the temptation got just too great!! But today I was taken over the edge, when I realised that not only were there chocolate dipped turkish delights to be had but also mini millionaires shortbreads from M&S. I was close to weeping. 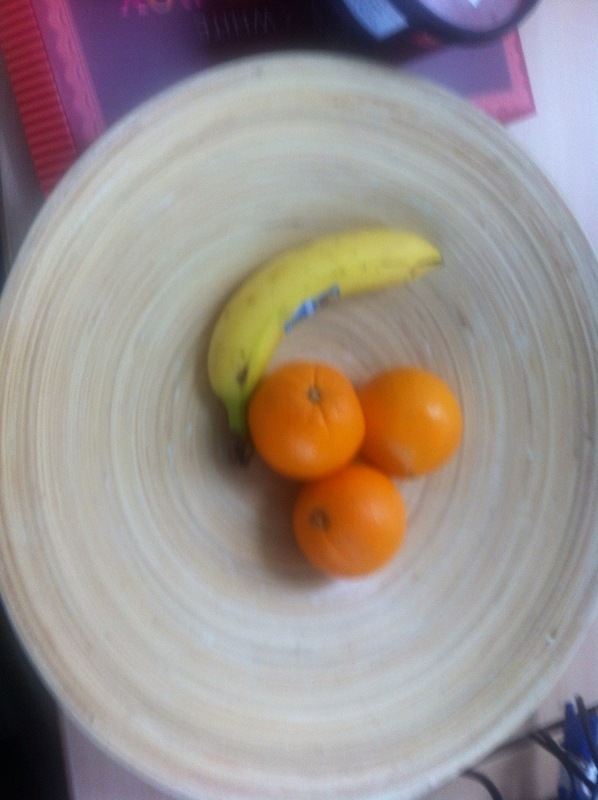 Now my colleagues aren’t nasty people – in fact I’ve grown to love them – so they did provide fruit as an alternative, which was really sweet….. BUT ITS NOT THE SAME!!! and as we approach the end of the day you can guess what our treats dish looks like cant you? Previous Post If I see another Burger!!!! Having just been diagnosed Type 2, I need ice cream like a hole in the head. But lords knows I’m craving ice cream etc. like no one’s business! I feel your pain. But I’m also thinking, there’s gotta be something out there that will satisfy the diabetic’s sweet tooth without sending us over the glucose edge! It’s just a shame that diabetic ice cream tastes like crap!! Frozen bananas are amazing though!! Oh? I have bags full of frozen bananas and wasn’t sure I should be eating those. Hehehehe I’m addicted to frozen sugar free jellies, like haribo,only chewier!!! I think you were just the person I was meant to meet to tell me all sorts about how to satisfy the sweet tooth! Plus I like you have friends name “Jack” and “Daniel”. Oh my god you are speaking my language!! I still haven’t been able to make a sugar free frozen daiquiri though!! Okay, now I must follow you, er, virtually anyway. It’s 9:30 in the morning for me, and you have me *craving* daquris and pina coladas. Yes, that’s in plural. yay I got my first stalker!!!!! Welcome to the madhouse, I apologies in advance about any posts I make when under the influence of Jack or Daniel!! You kidding me? I’m going to live vicariously through you and those posts!